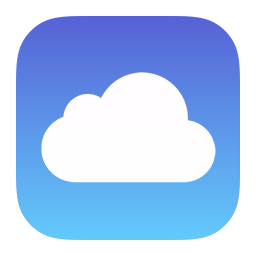 As part of its new suite of educational apps and experiences for children, Apple today announced that it is increasing the amount of free iCloud storage available to kids and teachers. Instead of providing each student and teacher with the standard 5GB of free storage, Apple is now offering 200GB of storage at no additional cost. Every student that has an Apple ID managed by a school will have access to 200GB of storage space for storing assignments, resources, and other documents in the cloud. The new storage space goes hand-in-hand with ClassKit and the Classwork app, which stores assignments in the cloud so students and teachers can access them anywhere. This is not a program that's available to any student -- it is limited to students who have Apple IDs that were provided by their school. Regular students and standard users of Apple devices will continue to be limited to 5GB of free storage space. How about 200Gb for everyone? 200GB for free is very nice! I wonder when they are going to offer higher free iCloud storage to regular users; 5GB is kinda silly. What's it going to be? 8gb? This FUD-filled post didn’t age well and it’s only been ten minutes. Storage options are 32GB and 128GB. And if you’re not a student or teacher, that’s your fault and here’s 5 lousy gigs- but thanks for buying the 256gb device! I still can’t believe they still have 5GB for everyone. If it was 5GB for every Apple device I own, ok, but not 5GB total. I have 50GB for $0.99 and that’s a good price, but this free 5GB needs to at least double. At least make sure a backup fits in the cloud. You have no idea how many of my family members / friends don’t get it and r always like BUT I BOUGHT THE 128 GB IPHONE. HOW COULD I HAVE RUN OUT OF STORAGE???? People with 200GB of photos? I’m sorry but I have little sympathy for anyone on here complaining about having to spend either $12 or $36/year for 50GB or 200GB of cloud storage, respectively, on a device that at a minimum cost you $329 and much more than that monthly for your mobile carrier service. A happy user buys an iPhone, which includes the whole ecosystem and provides an adequate (but by no means generous) amount of iCloud storage to back up their data, apps, configuration, and a small number of photos, without any additional incremental cost. That user is happy enough with the iPhone to want an iPad, which will require additional space to accommodate the data it generates. Based on their experience with iOS, the user then decides to switch from their PC, and buy a Mac, which may have its own storage needs. I think most would say that such an Apple user is beneficial to the company, and such a user should expect a good, seamless user experience, feeling that their loyalty is appreciated, and not feeling nickled-and-dimed; these are premium products that command higher prices, after all. But what is the single constant in this scenario? That Apple ID that links all those products and is so essential to operating within the Apple ecosystem still only has 5GB allocated to it without any additional fees. Objectively, $12 is a token amount, for both users and Apple, and is likely to be of little consequence in offsetting what it costs Apple to provide that extra storage. So then, why not provide more space gratis, or charge more? Because it's yet another a tool to keep users loyal, and inside the ecosystem. Users would not only have to abandon their investment in the apps they've purchased, but the space they've purchased, even at a minimal cost. They've already placed all their eggs into the basket, are paying a price for it, and most users aren't going to want to endure the PITA it would be to move out. It's not the cost that is the issue for many, it's the principle.